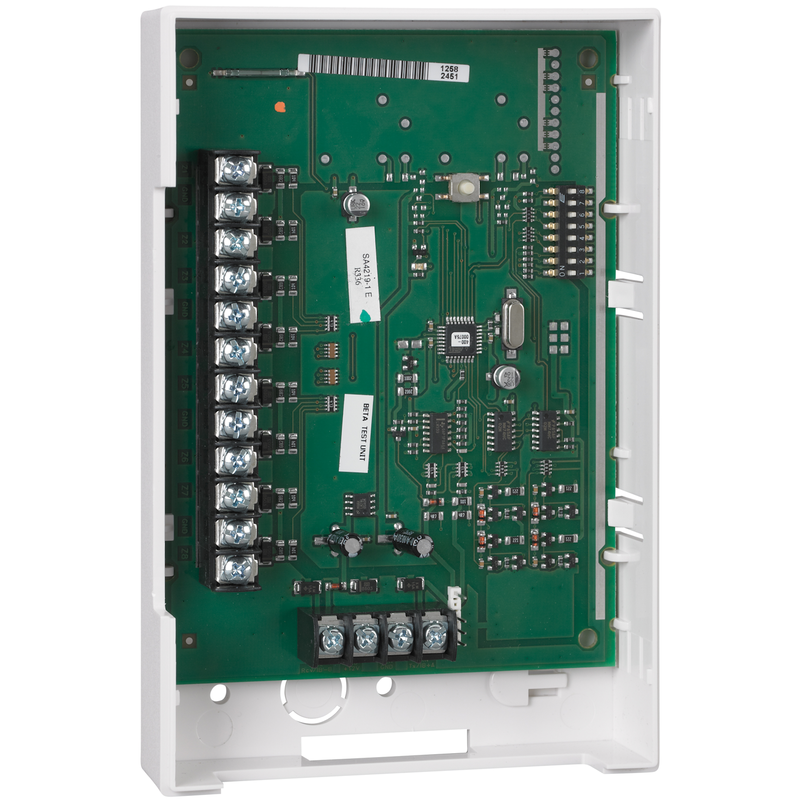 The Honeywell 4219 is a expander module adds up to eight normally closed or eight end-of-line resistor supervised zones to compatible control/communicators via the control's keypad wiring. The 4219 is recommended for commercial systems when deploying conventional detectors in an ECP zone expandable system. The 4219 wired expander is ideal for expanding existing hardwired installations without needing to change out the existing alarm control panel. The 4219 is a great addition to any compatible Honeywell hardwired or hybrid security system. It is housed in a white plastic case for wall mounting and can be mounted in a universal alarm can. If the 4219 is remotely mounted, there are provisions that tamper protect the unit so that it cannot be disconnected from the control panel wiring without detection by the Honeywell security system. The 4219 expansion module may be mounted within the control's cabinet (if room permits), or remotely. If mounted remotely, there are provisions to tamper protect the unit. Communication to the module is supervised so that it cannot be disconnected from the keypad wiring without detection by the control. If the wiring is cut, a tamper alarm or signal will result, to indicate that this device (and possibly other similarly connected devices) has become inoperative. IMPORTANT: Some carbon monoxide detectors may not be compatible with the Honeywell 4219 hardwire zone expanders. When using carbon monoxide detectors in systems that support the 4219 zone expanders, install the detectors only on the basic hardwire zones of the system control panel, and NOT on the zone expanders.